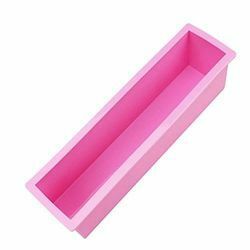 Leading Manufacturer of bath bomb mold, 9 wick candle mold with wooden frame, 36 nugget candle mold with wooden frame, silicon rose loaf mold, 6 cavities kids silicon mold and 10 cavities kitty silicon mold from Delhi. 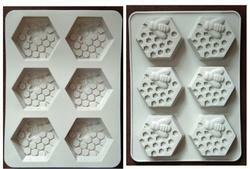 9 wick Candle mold with wooden frame with 9 types of mold. These molds are of premium quality and can be drilled with a wick inside. These molds work regularly. 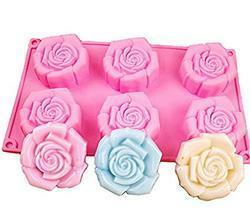 beautiful rose loaf rectangular mold can help you create a big loaf of designer molds. Bars can be cut with help of a cutter . 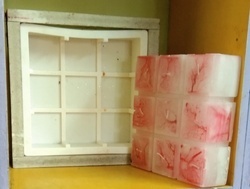 20 gm of soap mold created for kids. You can make special kinds of soaps, chocolates, cookies etc. The molds are in different shapes and create an amazing element for kids. Tweety mold made up of silicon 10 kitty's can be made. You have a candle, chocolate, soap and can be made for 10 gm. They look amazing for a baby shower, birthday's, toons day. 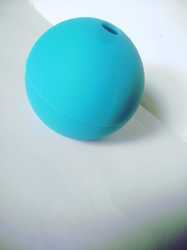 Oval silicon mold can be used for designing and creating great soaps, chocolates, puddings. You can make 16 same designs in one go with a great shelf life of the silicon molds. Button mold is wonderful and one can make embedded designs and one can make ganache design, cake, chocolate, waxes, soaps. etc .Its a high-quality mold and can create superb designs. Flowers look pretty always and so is the soaps made out of this special and lovely mould. The QUANTITY is 5gm however you can make tea cupcakes, candles, chocolates etc. Little hearts Soaps can be embedded into cakes, decorations, soaps, candles etc and can be used to make different types of designs . Emoji are in today so this cute shape silicon mold creates all kind of emotions mixed, smile, happy, crying, confused etc. 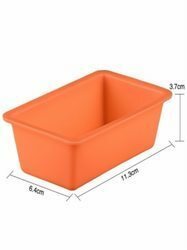 In this premium silicone mold, you can make soaps, cookies, candles, and chocolates .each mold weighs 5 gm each. 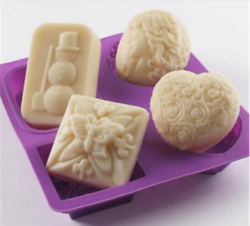 Bubble silicon mold can be used to make wonderful soap design which can make 120gm each bar. At one time we would make 4 soap bars. Silicon mold rose mold of premium quality that can create a wonderful design and give rose shape to your soap, chocolate or a candle. The quantity of the mold is 65gm. 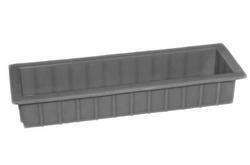 Looking for SILICON MOLD ?